Mangaluru, May 20, 2015: MCC - Mangalore City Corporation was seen to have no concrete action in place for the monsoons due in a few days. This surfaced during a review meeting convened by MLA J R Lobo at MCC here on May 19, Tuesday. MCC Executive Engineer Rajshekhar informed that the corporation has earmarked 75 lakh for desilting and Rs 75 lakh for the gang work. Corporator Deepak K Poojary, Town Planning and Development Standing Committee president said it is impossible to divide single gang to three wards during heavy rains. Moreover, he said that no work on desilting has been started though monsoon rains are just a few days away. He was unhappy about the working style of MCC Commissioner Hephsiba Rani Korlapati. Though she works from 6 am to 8 pm, as reported in media, proportionate results are absent. There is no development in any section including engineering, health, birth and death or anywhere. Engineers don’t attend to phone calls. Taxation and Finance Standing Committee president Harinath came down heavily against the engineering section and said that even junior engineers neglect works. Mahabala Marla and Health, Education and Social Justice Standing Committee President Prakash B Salian supported his allegations of wrong work ethics. 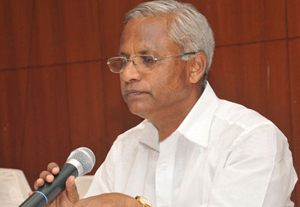 MLA Lobo, said that Bharatinagara had suffered floods thrice even after desilting. He added that People are worried about flooding in areas. Start the works without any more delay. The Chief Secretary should review each development work. Most of the road development works are pending. The snail’s pace of engineering department is disappointing. The CS should hold a meeting of the section today itself.